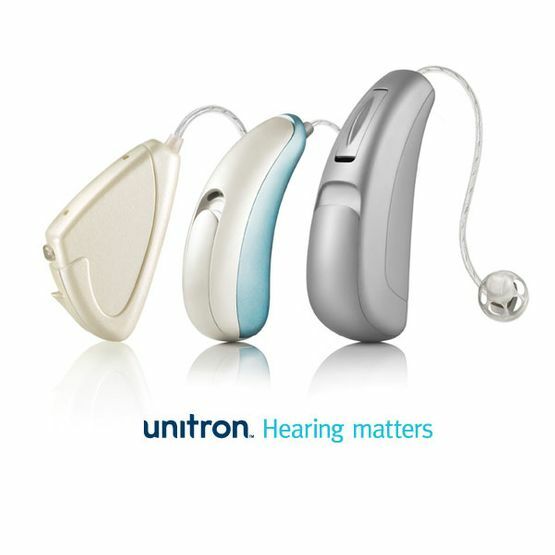 Hear for You provides a range of hearing aids and devices in the GTA. From the sound of the gentlest wind to the purr of an engine to the hum of chords from your favourite song, hearing makes the world around us that much more vibrant. When you struggle to understand the sounds around you, it can leave you frustrated and feeling left out. Through hearing tests and evaluations, our Etobicoke area hearing specialists work to find the best solutions for your specific hearing loss needs. We will fit your hearing aid to your ear and provide adjustments, repairs, and general maintenance to ensure you get the most out of your purchase. A hearing aid is a battery operated, electronic device that amplifies and alters sound to allow for improved hearing. Sounds are received through a microphone which converts the sound waves to an electrical signal. This electrical signal is sent to the processor that interprets the sound based on three dimensions: intensity, frequency (ie. pitch) and complexity (ie. speech, music, noise, babble etc). The processor then manipulates and amplifies the signal based on the identified signal and the hearing loss that is programed into the instrument and sends it into the speaker which sends it to the ear. This whole process is done in milliseconds. The more complex the microphone and speaker and more importantly the hearing aid processor and amplifier the more expensive your hearing aid will be. Are All Hearing Aids Big Beige and Boring? What Happens After You Get a Hearing Aid? Our job is making sure you know how to put the hearing aid on and how it functions and how it sounds. Furthermore, we book appointments to ensure that the person remembers what they learned on the first day they purchased the hearing aid. We also book follow up appointments to make sure a client can adjust to their new listening environment. Then, we continue to increase the hearing aid to meet targets which allow the client to hear speech clearly. YES! We try to find third party assistance such as: Veteran Affairs, WSIB, ODSP, Social Services, Private Insurance, etc. While many people associate hearing loss with the elderly, it can impact people of all ages. Many people 65 years of age and younger experience some type of loss. If you’re concerned about your hearing, contact our audiologists to schedule your personal assessment.